ePro Computer Solutions Partners - ePro Computer Solutions, Inc.
ePro Computer Solutions has made the decision to share our training videos to help with Google and WordPress that is concise and helps you along with SEO verification and WordPress setup with the correct security. Feel free to bookmark this link and view our videos, which will lead you in the right direction with Wordpress.org and the Google track. All you have to do is fill out the short form below and we will give you the password. All we ask is you let us send you a few offerings we may have in the future. You can delete these or opt-out of it altogether. From time to time the password will change and we let everyone know by email the new password. You can get hold of all the videos below by simply filling out a few fields in the form below and we will not sell or use your email for any other purpose! Also, besides the ePro Partner Training Videos, we have Certifications and High End SEO Partners that you might want to check out. These are short neat videos that get right to the point instead of having you search all over the Google or Wordpress sites. As you know, sometimes too much information and too long videos make simple seem very complicated. We suggest you hire us to do your marketing website in one of our plans. You are in good hands with ePro taking care of your marketing website, SEO, and friendly mobile needs. Note all our websites look real nice on any smart phone, Android or Iphone. We have a plethora of user friendly mobile sites for niche vertical markets with more being added all the time. ePro Computer Solutions has a program we developed to setup almost any niche market for mobile phone that can auto generate the mobile mini sites in the latest html5/css3 with Jquery and Ajax for static, sliders, and video. The cost of this program for you to generate unlimited mobile applications is a bit expensive for a five user license but keep in mind it costs us and our partners over $180,000. Call 401-453-5600 for prices on the full version. This includes 5 user licenses and you can use it as often as you want for the products you are selling and for real estate, for each home that you sell. A QR generator is included as well as a plethora of images and other associated files to enable you to make the best looking sites. Imagine putting a QR code on your sign and they scan it in and it's sold! 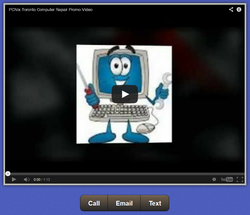 Here's an example of an automated site with video that you can generate or we can create it for you. If you don't have a good YouTube video, then we can have one created for you. We have the best partners with the most experience and at reasonable rates.